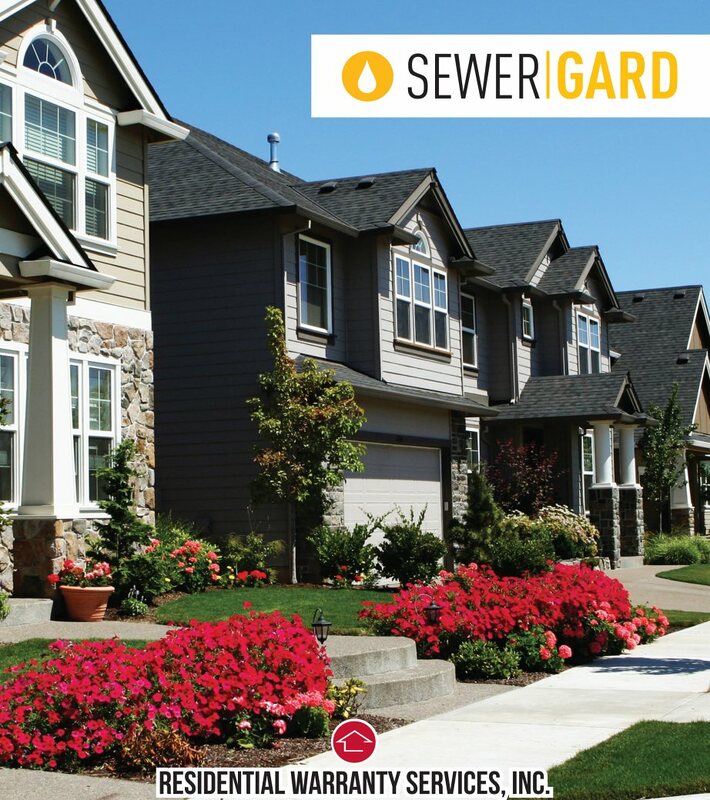 SewerGard protection is offered for a period of 90 days following the date of the inspection, or 22 days after closing, whichever comes later. If you received a sewer scope, this policy is extended to 6 months from the date of inspection, or 22 days from closing, whichever comes later. All claims must be received by RWS within the term of the agreement. An extension of coverage may be made available at a nominal fee at the conclusion of this agreement. This agreement is not transferable to any other property outside of the one listed on your home inspection report. 1. “Water Line”. The water line is the single lateral water service line from the point of the water utility’s connection to the point of the water meter or main shut off line inside the home. The water line also includes well water lines, excluding those exceeding five feet under the surface level of the yard. 2. “Sewer Line”. The sewer line is the single lateral sewer service line from the point of the home’s exterior wall to the point of connection to the sewer utility’s wastewater collection system or septic tank. This agreement covers only repairs as specified and excludes all others. Coverage is limited to $2000 per occurrence, $4000 aggregate. Only failures that occur after the date of the inspection are covered. This agreement does not cover repairs to material types that have been affected by a class action lawsuit or manufacturer’s recall. This agreement only applies to residential properties being used for residential purposes only. Coverage is for line breakages, collapses, or significant leaks that affect the functionality of the home’s sewer and water systems. This is not a policy to cover clogs. a. Repairing anything that occurred before the start date of this agreement. b. Repairing anything that wasn’t reported to RWS during the term of this agreement. c. Repairing anything not resulting from normal wear and usage. d. Repairing anything caused by you and/or third parties. e. Repairing anything in a home that is being renovated. f. Repairing anything caused by natural acts or disasters included but not limited to floods, earthquakes, landslides, sinkholes, or any insurable causes. g. Repairing anything caused by defective materials, or any material that has been the subject of class action litigation or a recall. h. Repairing anything required by any other party (city, state, federal or other party) unless otherwise covered by this agreement. i. Repairing any openings or damage caused to walls as a result of investigation or repair of a covered issue. j. Repairing shared lines (as in shared with another property). k. Repairs to any damaged items consequential to a sewer or water line failure or repair. l. Paying any costs associated with relocation of lines, lost water, lost time, lost use of your home, or any damages due to any special circumstances or conditions. RWS reserves the right to have its own contractor review any diagnosis, estimates, and bid on any project covered under this agreement. RWS shall choose the acceptable estimate in its sole discretion for coverage. This warranty and all related disputes shall be interpreted and enforced in accordance with the laws of Hamilton County in the State of Indiana without reference to, and regardless of, any applicable choice or conflicts of laws principles. Written Notification of claim including items 1, 2, and 3 must be received by RWS prior to the expiration of the policy. All claims on this policy shall be made by the buyer of record only after they have taken possession of the home and must be received within 90 days of the inspection or within 22 days of closing, whichever comes later. Claims will be processed after we are in receipt of items 1, 2 & 3.You will be contacted within 72 business hours of all items being submitted. 2. An itemized repair estimate, including the breakdown of parts & labor, as well as a specific cause for the failure in writing from a licensed or properly certified repairperson. RWS reserves the right to request up to two (2) additional estimates. The estimate must include contact information for the repairperson. 3. A copy of your home inspection report, or at least those pages pertaining to the affected items. The policy holder is responsible for the first $300 worth of repairs and investigation of any covered issue. Any and all receipts and invoices must be delivered at time of claim submission to ensure credit for any covered expenditures. The policy holder is also responsible for any costs exceeding the coverage limitations of $2000 per occurrence and $4000 aggregate.